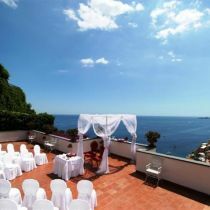 Perched on a cliff overlooking the sea, just steps from the beautiful beaches of Positano in amalfi Cost in Italy, this villa offers an ideal atmosphere to organize a unique, sunny wedding in the name of quiet and relaxation. 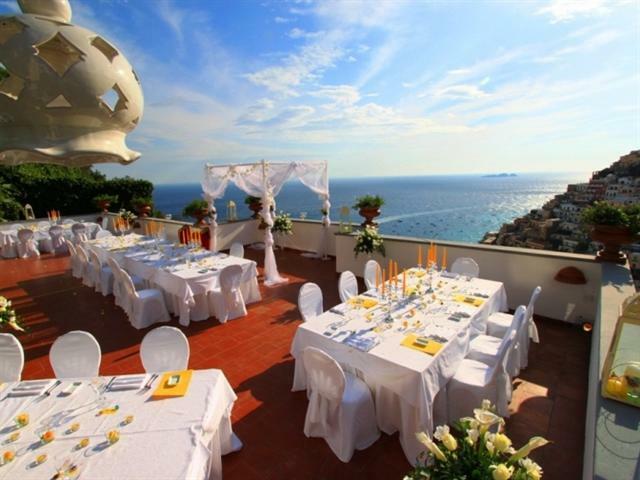 Six wonderful panoramic apartments, immersed in the Mediterranean vegetation, are surrounded by wide terraces and can accommodate up to 25 guests and offer a perfect atmosphere for an exclusive event and holiday in once. 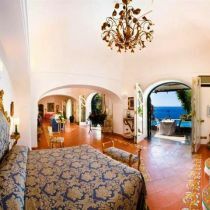 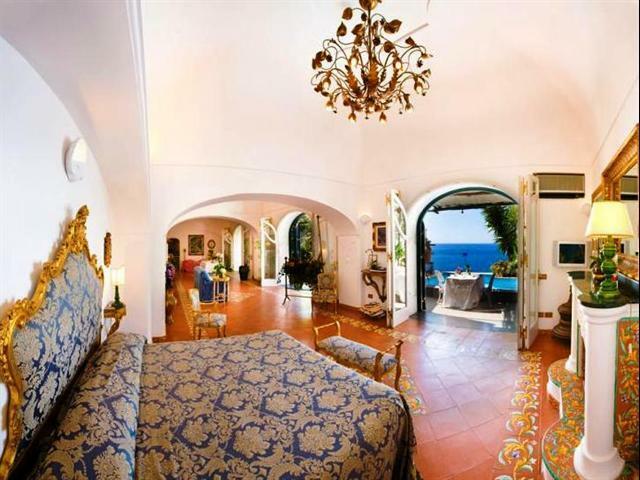 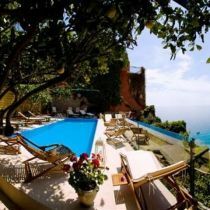 The proud of the villa is the exclusive Romantic Honeymoon suite, derived from an ancient house of ‘600, with private pool and whirlpool: the perfect setting to extend the excitement of a wedding in Positano, or give yourself pearls of intimacy during a holiday on the Amalfi Coast. 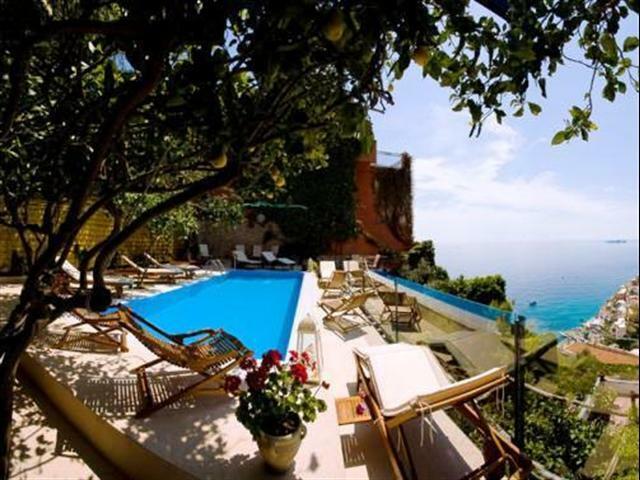 The beautiful terraces of bougainvillea, extended to the panoramic pool with whirlpool surrounded by citrus and almond trees, the solarium turned to Li Galli islands, make the villa a magical location for those who want to get married in Positano. 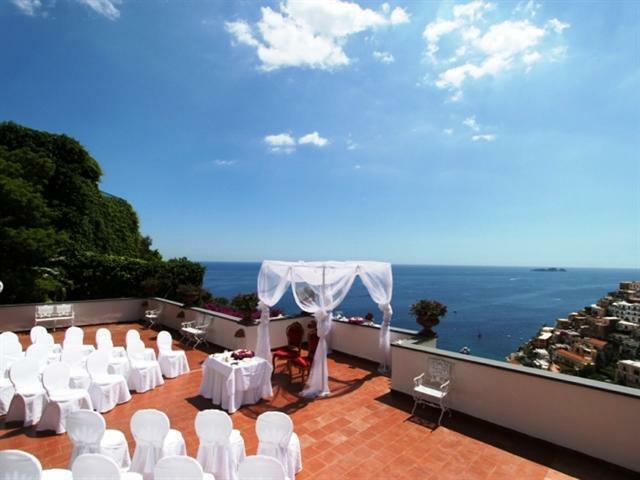 You can book the villa exclusively, offering accommodation to friends and family and prepare your reception in the beautiful terrace up to 200 people and say the fateful "yes" between the smell of salted air and pergolas of vintage wines. 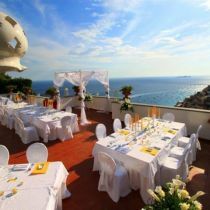 And after the wedding reception, music and dancing until late at night in the magical setting of the lights in the evening.... what's more?